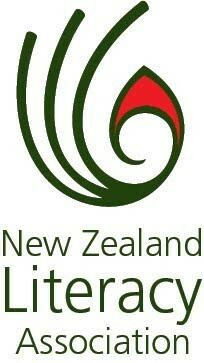 An explanation of the design for the logo for the New Zealand Literacy Association. The overall design takes into account the modern digital age while retaining a strong reference to New Zealand’s cultural heritage. Avoiding the use of a ‘book’ which has traditionally been used as a symbol for literacy, this design is a compilation of elements. The ‘koru’, being a recognised New Zealand symbol for growth, is featured prominently emphasising ‘growth through literacy’. The ‘fan’ flowing from the Koru, while suggesting flowing pages, represents the benefits of literacy – understanding, communication and creativity. The red ‘flame’ represents the desire to learn, to teach and to promote literacy as a life skill for the betterment of everyone. To complete the logo I selected the clearest, most concise, sans serif font I could find… after all, literacy is all about clear communication and legibility. The overall simplicity of the design, without being specifically linked to any one tool of communication, is future proofed and with consistent application will last a long time.